Thursday night was a treat: I went to see Simon Rattle and the Berlin Philharmonic play Mahler's Symphony No. 4 at Carnegie Hall. Since my 80-year-old father and I had bought tickets at the last minute, our seats were in the very back row of the upper balcony. We spent a couple of minutes waiting for express elevator, standing in front of an autographed photo of Fritz Kreisler. To pass the time, my father dug out an old and apropos joke from the Bob Hope archive: A man is sitting in the upper balcony at Carnegie Hall. He turns to the guy next to him and says, "Wow, the stage sure is far away." The other guy says, "What stage? I'm flying the airmail to Cleveland." Rim shot! We took our seats. Never before had I studied the ventilation grills and cleverly disguised ductwork at such close range: why, I could almost reach out and touch them. But now the lights were dimming, and the orchestra took the stage. From where we were, they were the size of sparrows, maybe terns. The alpha sparrow, Sir Simon, had a baton and a corkscrewing shock of gray hair. Und so weiter. The concert began with the New York premiere of Noesis, a piece by Hanspeter Kyburz, born in Lagos to Swiss parents in 1960 and now resident in Berlin. The entire back of the stage was crammed with an arsenal of percussion instruments, many of which I had never heard of (xylorimba, crotales, hyoshigi, guiro), and the naive might have expected some sort of world-music blowout, two parts King Sunny Ade to one part Schoenberg. But I had already read the program notes, which were not encouraging: "Kyburz is very much a child of our time. He uses a computer to develop musical structures formed in his imagination in order to determine the aural and aesthetic results. He then accepts, alters, or rejects what he has conceptualized in a kind of self-critical dialogue with himself." Uh oh. Even more discouraging: Kyburz's title comes from Husserl, the elaborately bearded phenomenologist whose whose speculations on perception and intersubjectivity seem a mite arid for musical tinder. There were, however, some pleasures to be found. The opening movement featured some eerily rustling string figures, and a tremendous command of dynamics from Rattle and his ensemble: the sound swelled and receded, with hair-raising tuttis and frequent drops off the precipice into silence. Not much you can hum in there, of course. The composer has drunk deeply of the chromatic cup, and prefers to keep all twelves tones in play at any given moment. This tends to quash the melodic impulse. Yet after the middle, slow movement had wound down with some otherworldly keening--I assumed we were hearing a glass harmonica, but it seems to have been a bowed vibraphone--my sweet tooth for melody was satisfied after all. Over urgent, scrabbling runs from the double-basses, Kyburz voices some open horn figures that suggested nothing so much as a Teutonic Aaron Copland. The piece ended with a final salvo of percussive violence. My father, who had nodded off during the slow movement, woke up and said, "It could have been worse." After the intermission, it was time for Mahler. 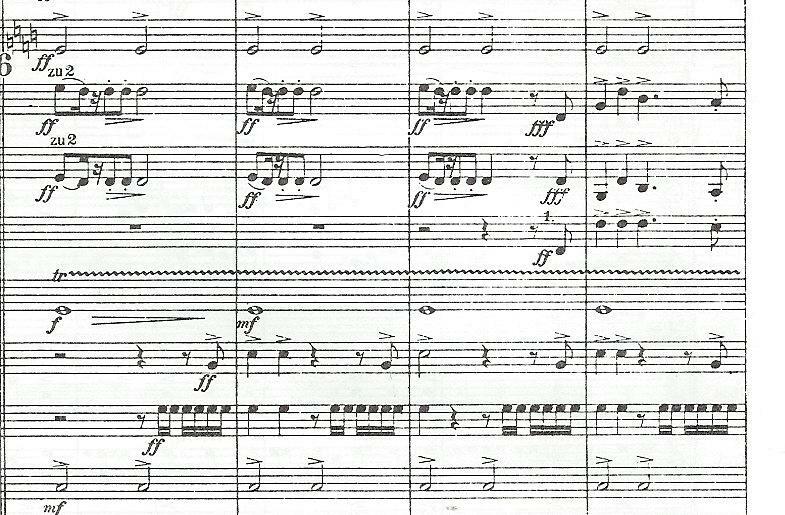 The Fourth is a famously sunny piece, the only bombast-free symphony the composer ever wrote, with the possible exception of the First. The mood, as he once described it, is like "the uniform blue of the sky.... Sometimes it becomes overcast and uncanny, horrific: but it is not heaven itself which darkens, for it goes on shining with its everlasting blue. It is only that to us it seems suddenly sinister." 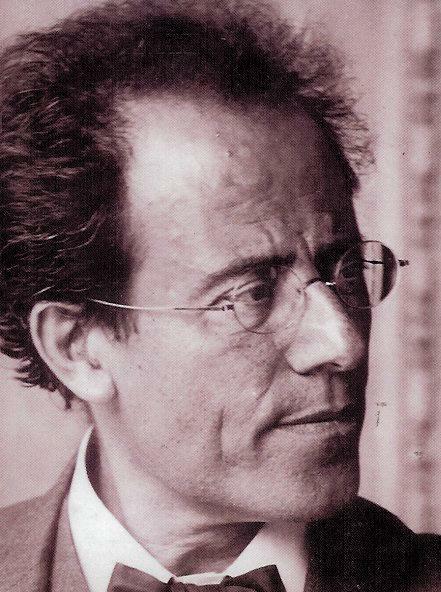 It also happens to be the piece that really introduced me to Mahler, courtesy once more of my father, who gave me Otto Klemperer's old recording with the Philharmonia Orchestra many years ago. So I was practically quivering with excitement as the atmospheric flute-and-sleighbell riff wafted up into the balcony. This was going to be good! I think this calls for a little incandescence. You certainly can't pretend it's business as usual. 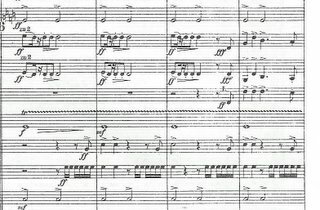 In any case, the second movement, with its moonlight-on-the-krummholz textures, was appropriately magical, and the third had exactly the sort of dramatic momentum lacking in the first. Rattle took his time, letting the strings and harp linger on the initial hymnlike theme. The radiant outburst towards the end of the movement, which Mahler considered the climax of the entire symphony and an anticipatory glimpse of eternity, was worth the wait. It may have been slightly muted for occupants of the back balcony: more like viewing heaven through the wrong end of a telescope. I relished it, though, and loved the way Rattle steered straight into Das himmlische Leben. Magdalena Kozena, a foxy Czech mezzo-soprano, had slipped onstage during the final measures of the previous movement. She sang the Wunderhorn text, a child's vision of heaven, with an appealing and lovely simplicity. Her voice didn't quite project up to you-know-where, but I'll stop complaining about the seats. The acid test: I came out of Carnegie Hall in a much happier state than when I had entered. Perhaps it isn't necessary, or even desirable, for a work of art always to spring from a mood, like an eruption. There should rather be a uniform degree of skill throughout. This is true art, which is always at the disposal of its possessor and overcomes all difficulties, even that of one's not being in good form. I am still half living in the world of my Fourth.--This one is quite fundamentally different from my other symphonies. But that must be; I could never repeat a state of mind--and as life drives on, so too I follow new tracks in every work. That is why at first it is always so hard for me to get down to work. All the skill that experience has taught one is of no avail. One has to begin to learn all over again for the new thing one sets out to make. So one remains everlastingly a beginner! Once this used to make me anxious and fill me with doubts about myself. But since I have understood how it is, it is my guarantee of the authenticity and permanence of my works. Thanks for this, James. I love the 4th, most memorably for me is the climax that you wrote about (and my recording is followed by Mahler's Songs of a Wayfarer, which I now associate with the symphony too) I just recently picked up the Nagano recording of the humongous 8th, called something like symphony of a thousand. Your story reminded me of a fine moment with my own father. More than a few years ago I bought a BMW R50 motorcycle. When I went to my parents' house to show it off I ended up taking my father for a spin around the neighborhood. I thought of that because around that time I was trying to fathom late 19th century symphonic music and living in Chicago favored Kubelik's renderings of Mahler (oddly, Boulez's also) and Bruckner ( a composer I now find unlistenable). I reckon it pays modern listeners to get to know the final movement of the fourth intimately before starting at the beginning, since it predated it by a decade (I think, just as the first movement of the Resurrection predated the rest by five or six years) and the Wunderhorn song was already well-known and well-loved when the symphony premiered. It should be a journey to a renowned and well-loved destination.